Shahab Mahboubian completed his training in limb lengthening and deformity correction surgery at the world-renown Hospital for Special Surgery in New York, the #1 orthopedic hospital in the country (U.S. News & World Report, 2010). 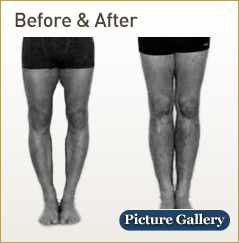 He has brought this highly specialized orthopedic practice to the West coast with the most advanced techniques and skills in Height Lengthening surgery. 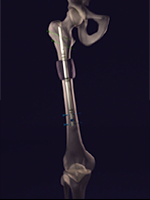 Some of the wide array of surgical techniques utilized by Dr. Mahboubian include correction of bow-legs and knock-knees, deformities of the upper or lower extremities, leg-length discrepancies, bony malunions or nonunions, and cosmetic bilateral limb lengthening. 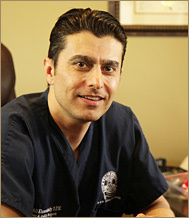 Dr. Alireza Khosroabadi is a Fellowship trained foot and ankle specialist graduated from New York College of Podiatric Medicine. 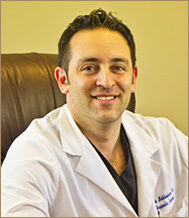 Dr. Khosroabadi completed a three year surgical residency in New York. He also completed a one year fellowship at the Rubin institute for Advanced Orthopedics / International Center for Limb Lengthening at Sinai Hospital in Baltimore Maryland with world renowned Orthopedic Surgeons , Dror Paley M.D. and John Herzenberg M.D.